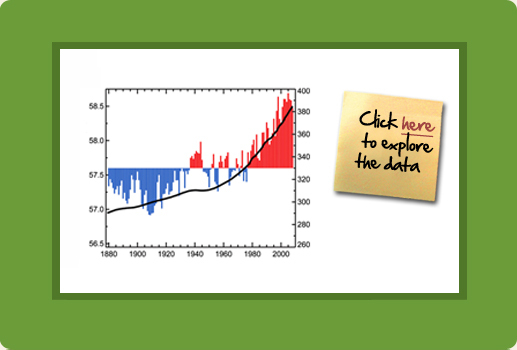 Scientists are gathering a great deal of data about climate change. They have to look at this wide picture to see what trends are showing up and why these trends might be occurring. Take a look at some of that data as a scientist would to see what the numbers are telling you.